Before we get started, let's give a super shout out to my girl Kim of http://caffeinatedbookreviewer.com/, who lovingly does her weekly meme every Sunday about news, reviews, books and great info. 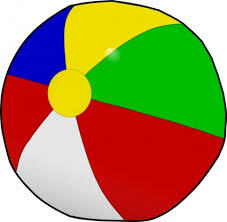 Do you ever have that feeling when you can't wait for summer, then when it's almost over you're thrilled? I feel that way because the new Fall programs and returning favorites are right around the corner. What do I eagerly await the most? The Blacklist, Gotham, Scandal and new episodes of Jeopardy, and Wheel of Fortune. I'm not answering the phone, opening the door, or checking e-mails when either of those programs come on. They deserve my undivided attention. What about you? Is there something you've been waiting for to come back on this season? As usual I don't remember what happened last week except for two things. I re-opened my Twitter account, which is totally different from Facebook AND my phone which had been reported as stolen (not by me) was received in the mail. Yep, someone really needed a phone and decided it was best to use my name to get another one fraudulently. Meanwhile, MY phone was deactivated! Took a while to get straightened out, but finally received my new phone. Take a lookie see at the cucumbers that have come out of the monstrosity I call The Front Yard Garden and be amazed my friends. Can you believe it? 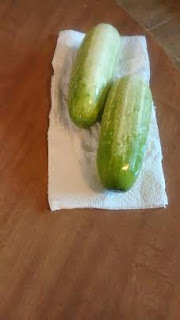 Two more are almost ready to be picked and I will attempt to turn them into magical pickles. Almost done with David Silva's latest novel, The English Spy, which has taken me a little longer than normal to finish. That doesn't mean the suspense isn't keeping me on the edge of my seat. 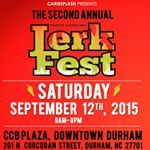 Don't forget if you live in the NC area and like spicy food, visit the CCB Plaza in Durham for their second annual Jerkfest on September 12 from 9am - 8pm. They're having a Jerk Wing Eating Contest and a Jerk Cook Off along with LIVE music, kids' activities and plenty of food. Admission to the event is FREE. Many people may not know that my boyfriend Jason Statham from Transporter, Spy and other movies, is an excellent driver and performs almost all of his own stunts. Despite that, he actually failed his driving tests about 3 times. Have you ever had a really good book that you put on your TBR pile which keeps growing and growing, only to find it years later?! (lol) That just happened to me the other day, and I felt truly nutty. How about you, have you lost any books lately? I have so many books buried in my TBR pile it's not even funny. I emptied out a bookshelf of mysteries the other day convinced I could purge some but it turns out I really want to read all of them! I kept saying "I forgot I had this one!" My cucumber plants have been killed by the heat though it looks like I might get a few more. I haven't done the full pickle but I've been making tons of sweet and sour pickles which I love. Have a great week! I don't watch all that much TV, and I have both Apple TV and Netflix for when I really want to binge on something. I can't think of a single show I'm looking forward to this fall, but that might change. Your cucumbers look delicious! I love growing fruits and vegetables, too, but we haven't tried cucumbers yet. Have a fantastic week ahead and happy reading, Ro. 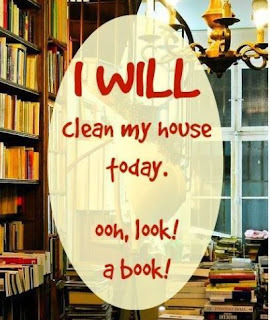 LOL, Yep a book wins over cleaning every time. Your cucumbers are huge Ro. I am excited for the new fall tv season including Blacklist. Enjoy your afternoon! I know reading should take a backseat, but can't help myself! (lol) Blacklist - yay! The nerve of that person! Gosh, can the request be traced so you can nab the thief?? They did find the person because he used his own address! (lol) Crazy!!! I'll be on the lookout for your review of The Spy. I've always wanted to read a book by Silva, but since he's written so many, I don't quite know where to start. Have a great week, Ro! I really don't like summer. I stay inside as much as possible during these 115 F days here in the desert. Bring on the cold! I am looking forward to The Vampire Diaries and The Originals coming back through. It's coming into spring for us here in Australia and I'm looking forward to the warmer weather and the new tv shows too. I wish I had that of memory Cait! (lol) It would sure saved me a ton of money at the bookstore. I've never seen Supernatural, but heard it was really awesome! Hugs...and happy week! I love fall, so summer's end is always welcome here! It's 90-plus degrees here from about April 'til October, so summer seems to go on forever. I'm with Stephanie. I love the Fall, I love the Autumn leaves, all the Fall Festivals we have in our neighborhoods and Halloween! DO YOU EVER WISH YOU LIVED IN A LIBRARY ?